1. 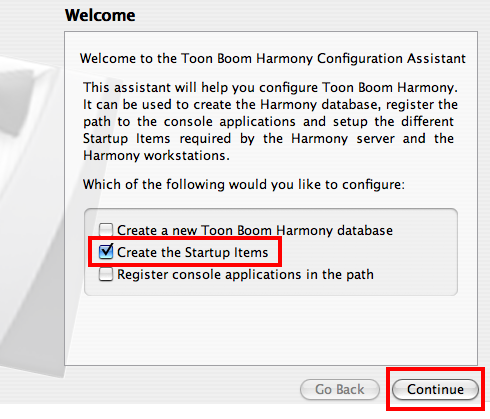 In the Finder, go to Applications > Toon Boom Harmony 10.3 > Tools > Configuration Assistant. 2. 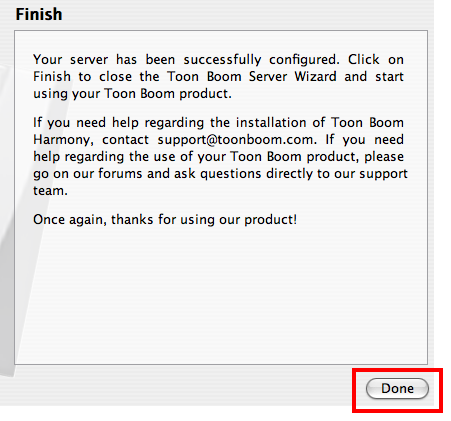 Select the Create the Startup Items option and click the Continue button. 3. Select the Create Queue Server Startup Item and click the Create button. 4. Type a user name that is allowed to administer this computer then click the OK button. This will copy the files necessary to automatically start the batch processing queue on the counter. 5. Repeat these steps on all the computers that will be doing batch processing. 6. Click the OK button to close this dialog. 7. 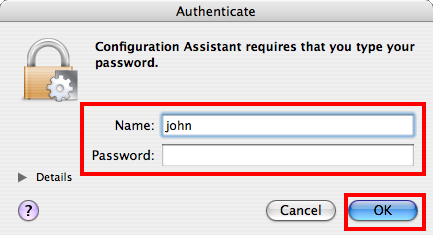 Click the Done button to close the Configuration Assistant.